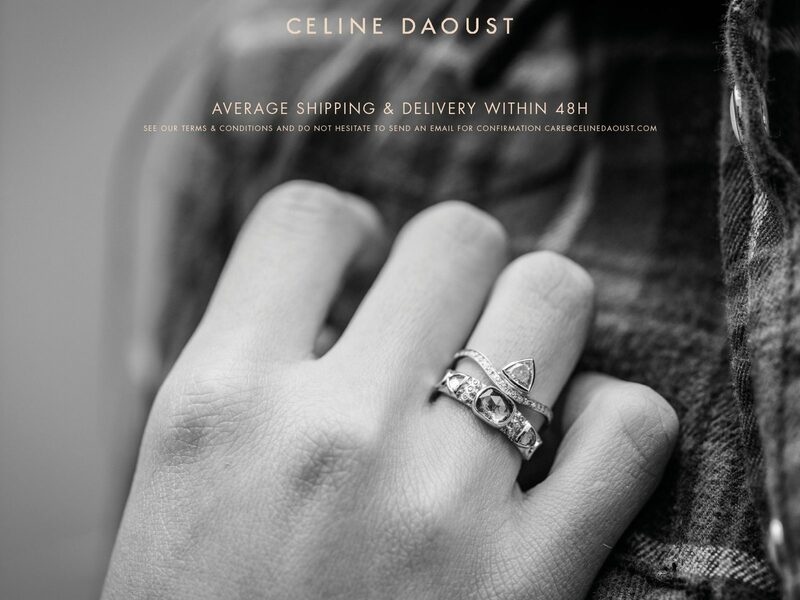 RINGS CAN BE RESIZED UP TO 2 SIZES. 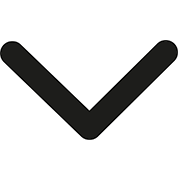 THE TURN AROUND FOR THE SIZING IS 1-2 WEEKS. 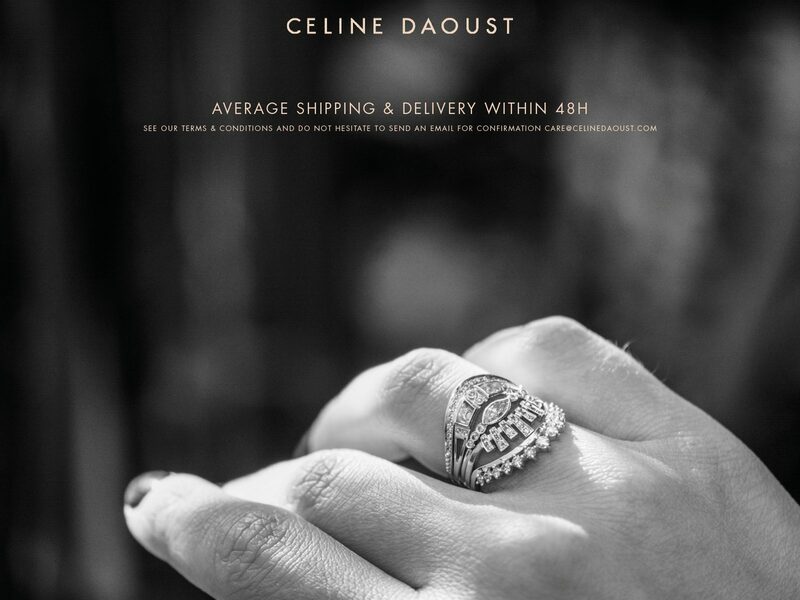 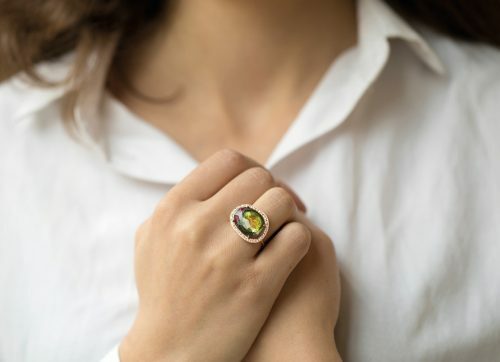 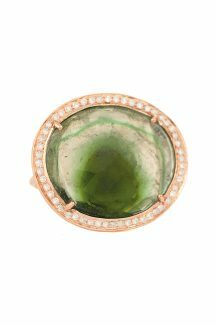 CELINE DAOUST 14KT LIGHT ROSE GOLD RING WITH CENTRAL TOURMALINE SURROUNDED BY DIAMONDS. 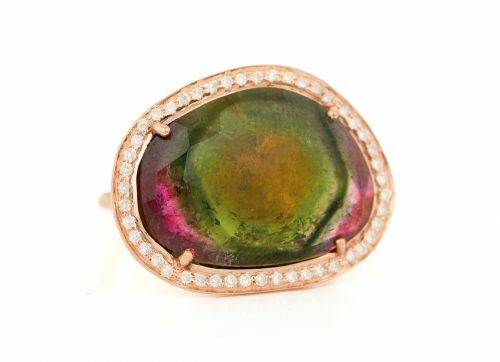 TOURMALINES COME IN A HUGE VARIETY OF COLORS, THEY HAVE ELECTRIC AND MAGNETIC PROPERTIES GREATER THAN THOSE OF THE FAMILY OF QUARTZ CRYSTALS. 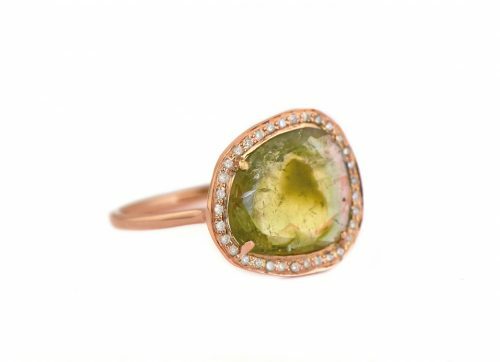 WHAT WE LOVE ABOUT THESE STONES IS THE STORY THEY TELL BY THEIR SHAPES, COLORS AND SMALL INCLUSIONS. 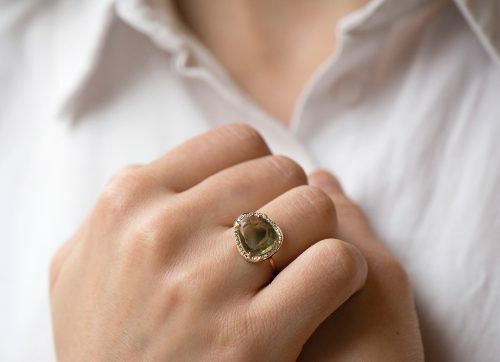 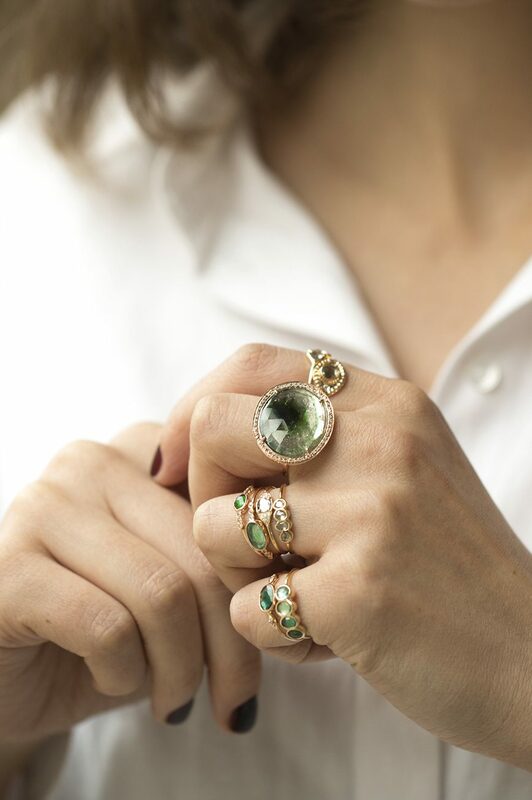 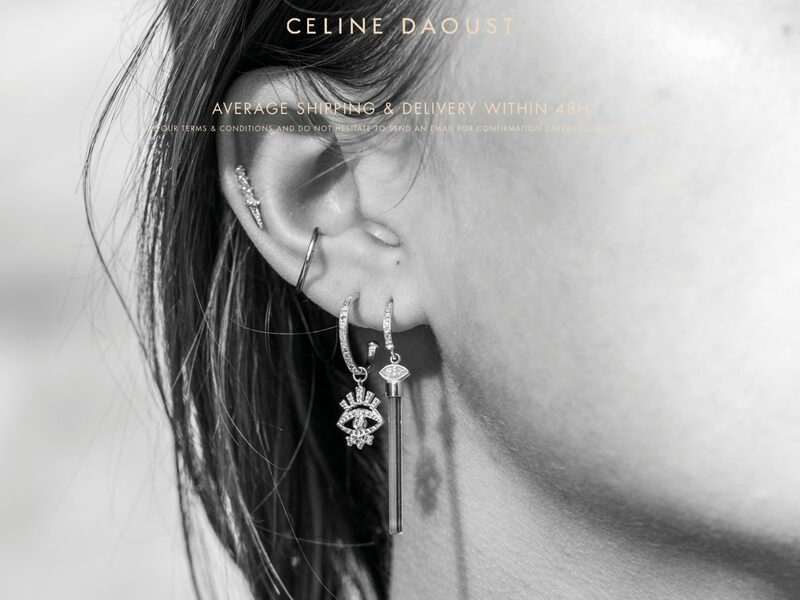 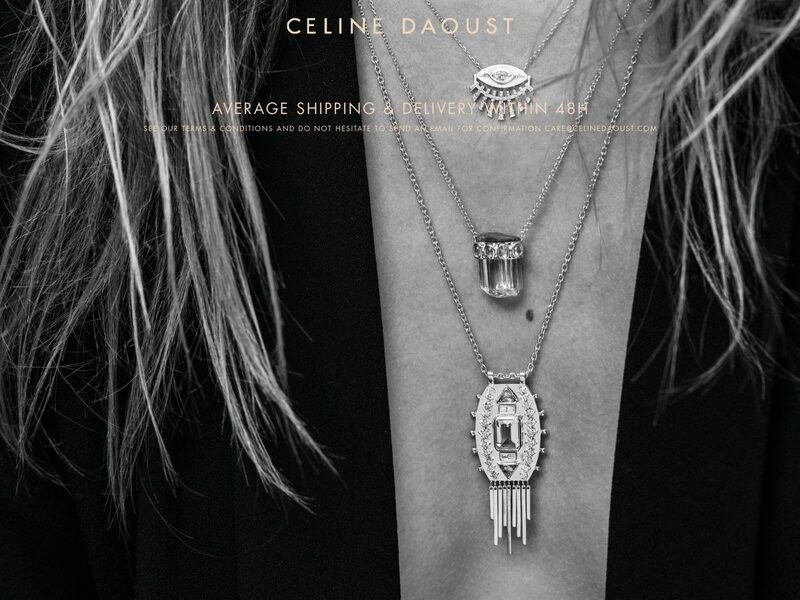 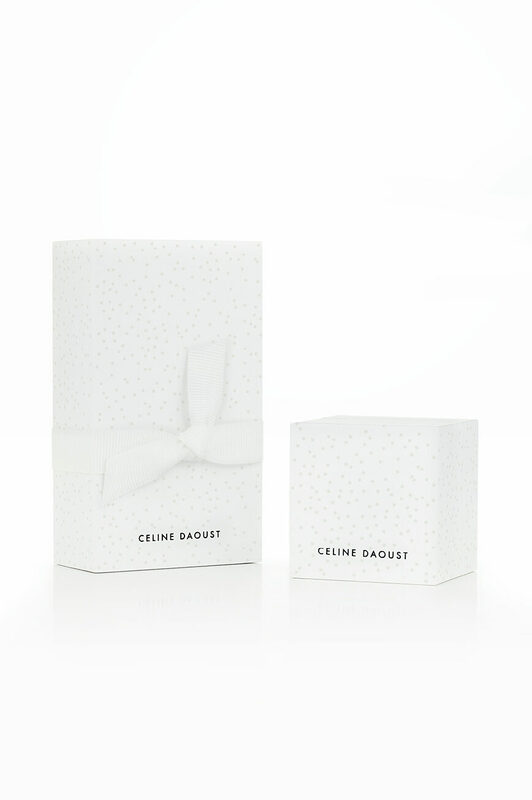 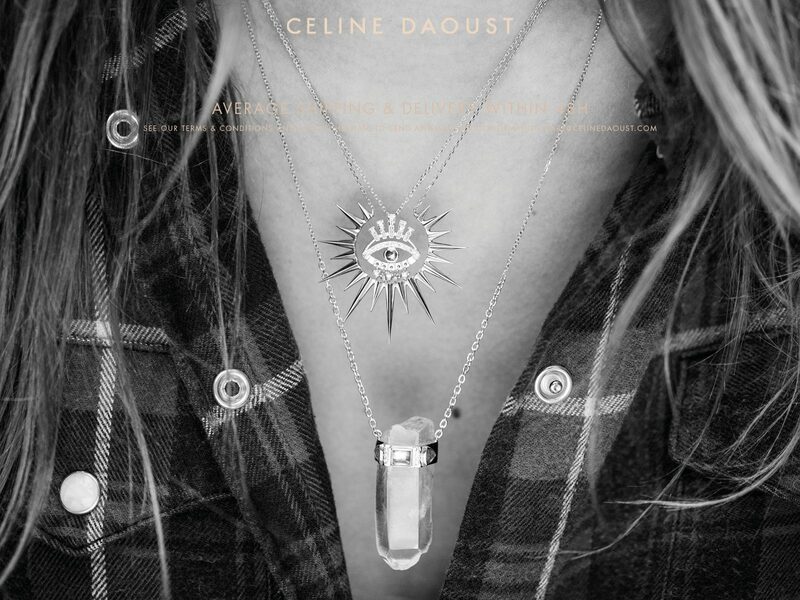 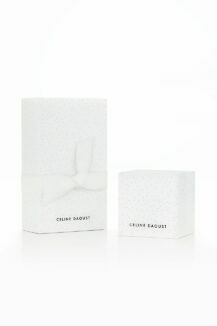 CÉLINE DAOUST CONSIDERS THESE INCLUSIONS AS AN ESSENTIAL ELEMENT TO THE NATURE OF THE STONE. 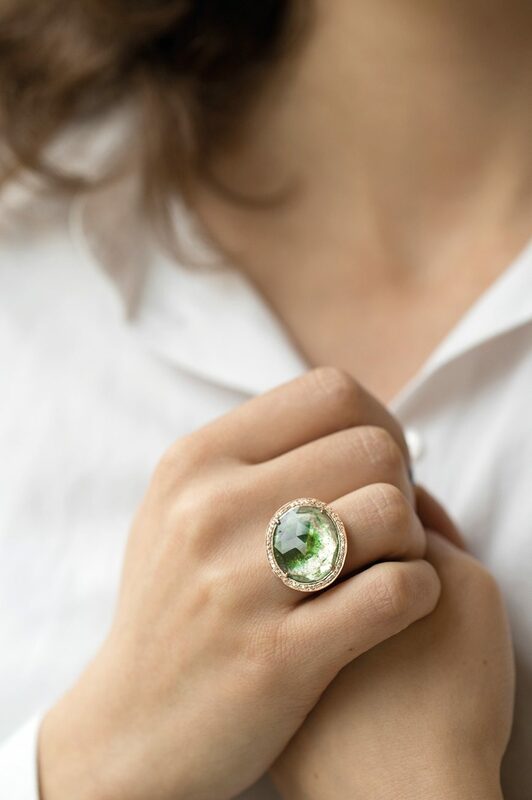 THE IMPERFECTIONS ARE CELEBRATED.